The Max Curious Pro crew was shooting footage at the Betty & Coretta premiere last night at the Tribeca Cinemas in New York City. It was a crowded, fun event. Celebs were on the red carpet... Angela Bassett, Mary J. Blige, Ruby Dee, and others. The World Premiere of Betty & Coretta is this Saturday at 8pm! Annelise Paull was on camera and Dafydd Cooksey on sound. 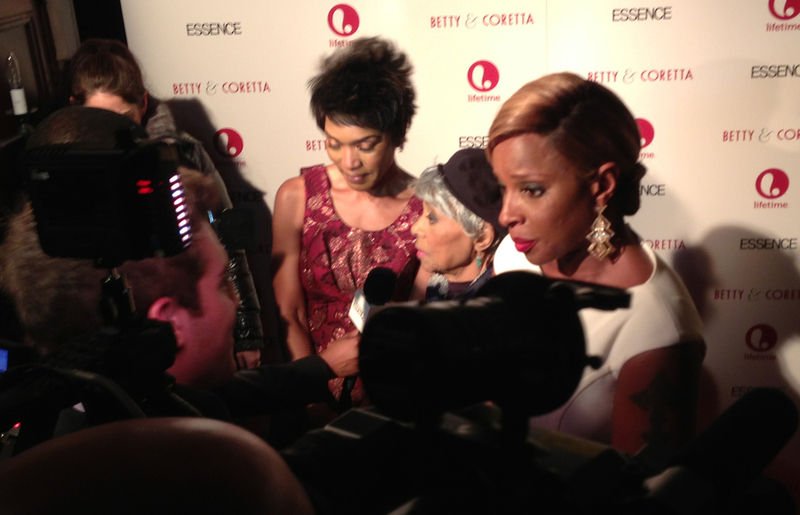 Max Curious Pro shooting red carpet for Lifetime's premiere of Betty & Coretta. Lifetime's Ben Asher doing the interviewing. Anneliese Paull on camera and Dafydd Cooksey on sound.